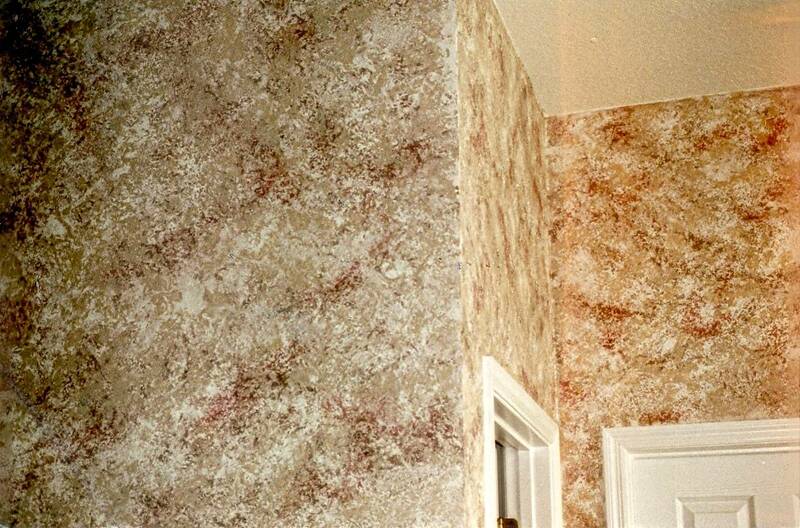 Faux effects can simulate natural materials such as stone, marble, leather and suede. 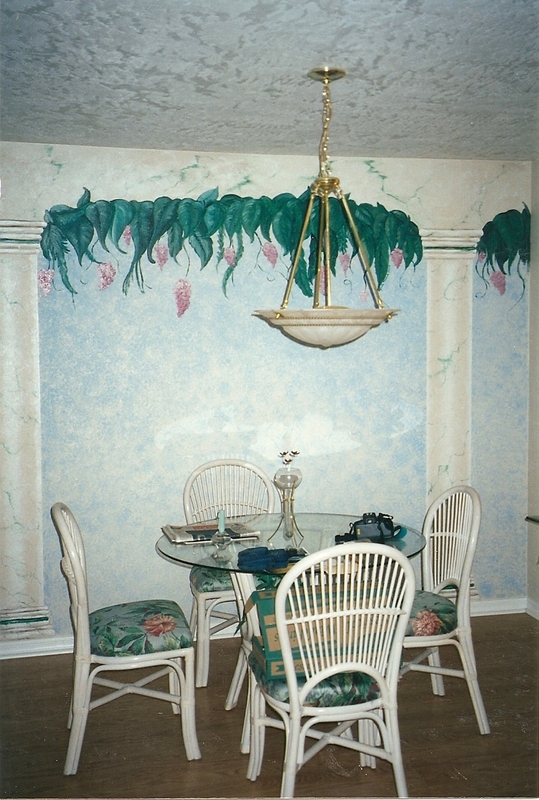 Faux marble walls make the room formal. 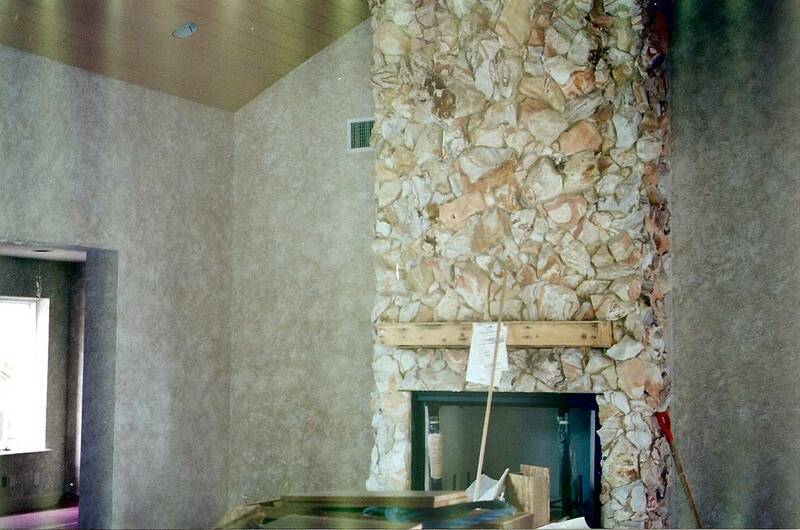 Walls painted to look like stone. 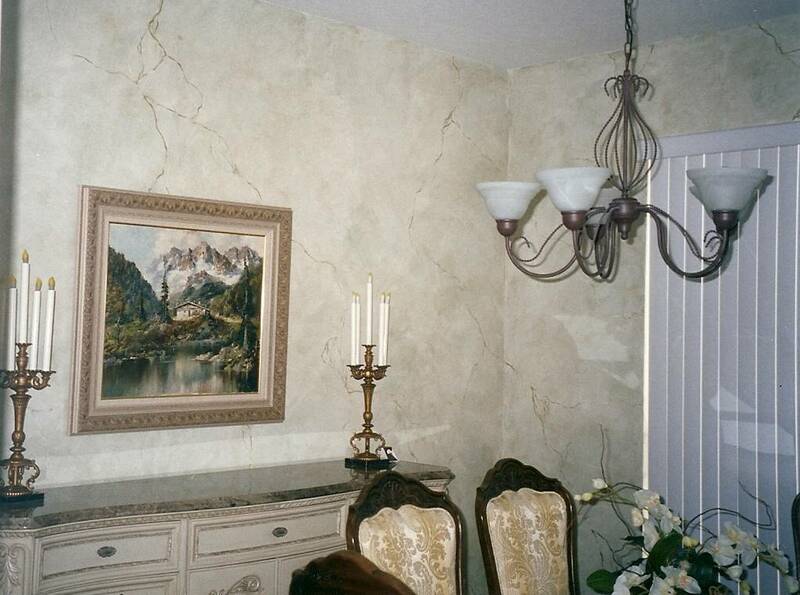 Walls fauxed to match the natural stone. 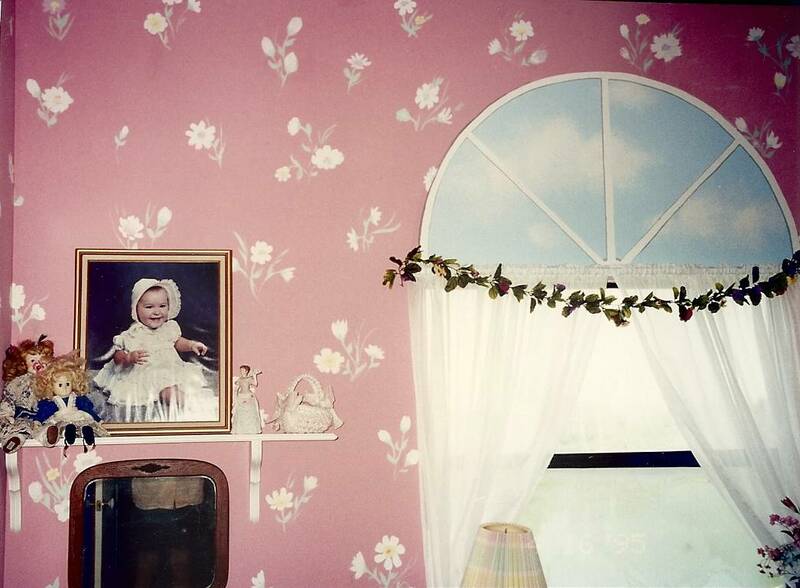 A faux Palladian window above the real window. 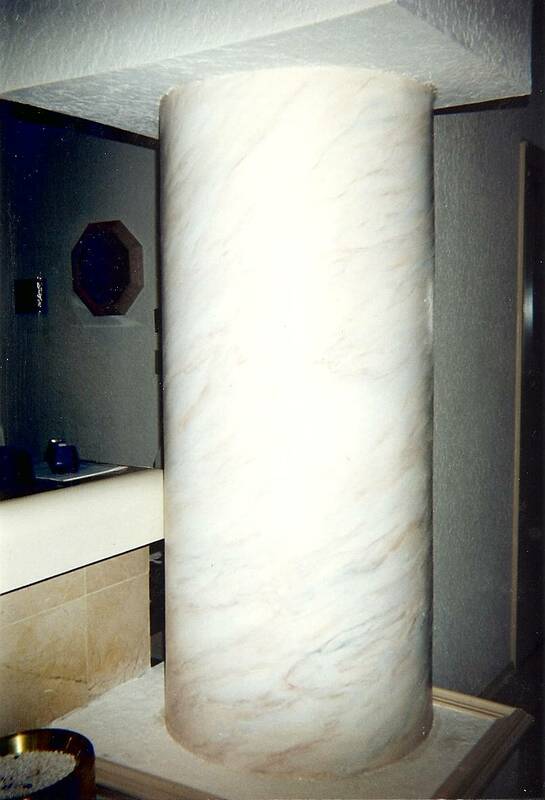 Plaster columns in a Miami hotel are painted to match the marble tile floor. 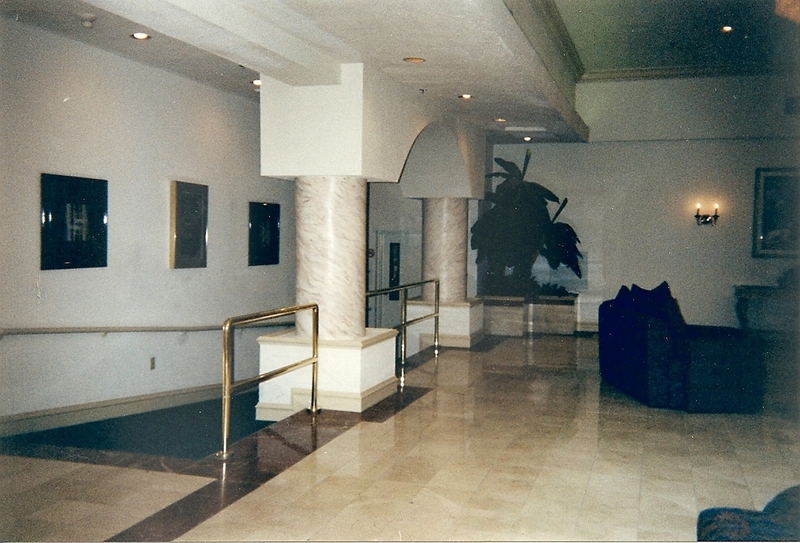 Detail of plaster columns in a Miami hotel. 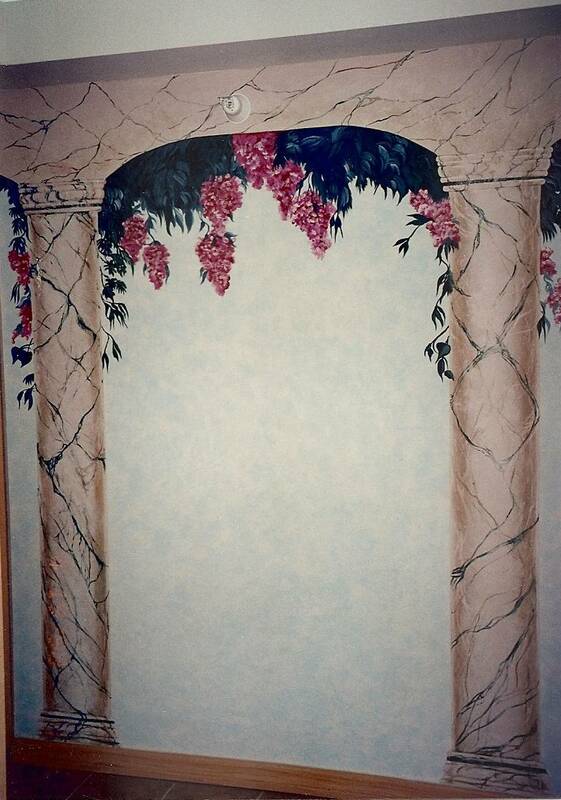 Faux marble columns in a dining room. Vines tumble down from faux marble columns at Star Island in Kissimmee, Florida. 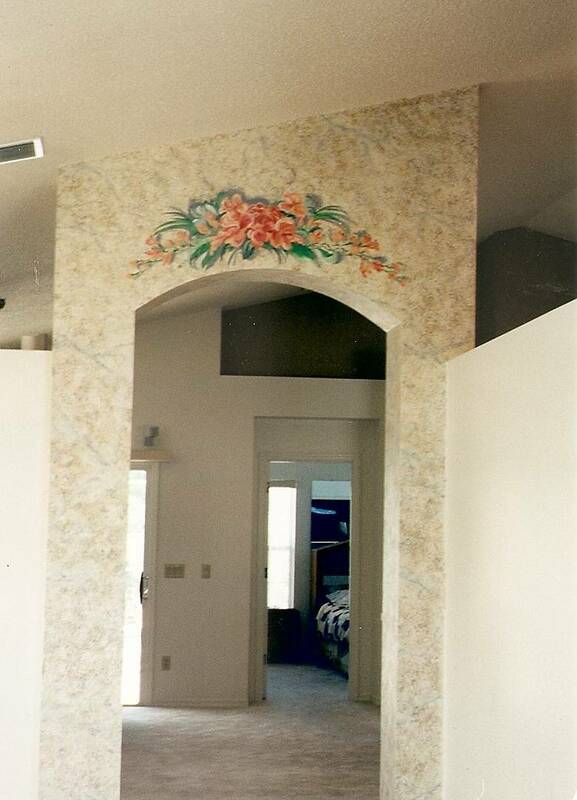 A faux stone archway is decorated with a spray of tropical flowers. 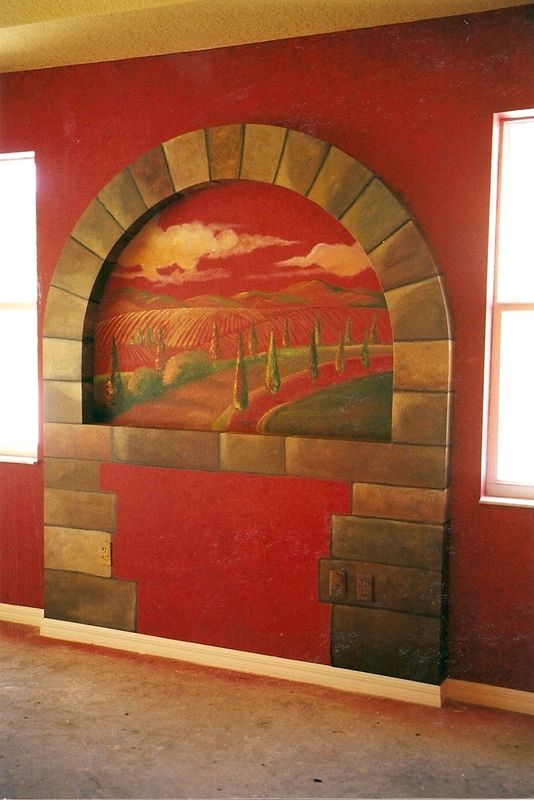 A faux stone arch surrounds a country scene. The background is a red rag roll.